For sure, you are familiar with an attic. It is a part of a building or a house that is directly under the roof. Most attics are used for storage, especially if it is too low for people to walk in. 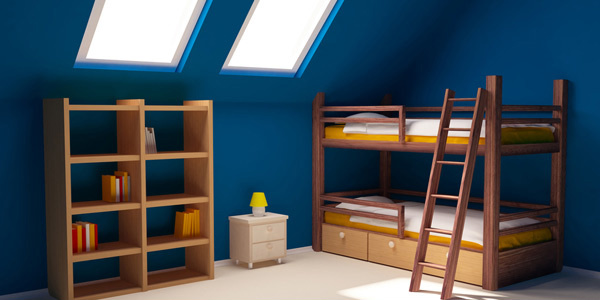 But there are attics that are utilized as a bedroom, bathroom, study room, living room, entertainment room and others. This goes to show that an attic is actually a useful place only if it is designed well. Using the attic for living purposes is one smart way to save building space because instead of eating up floor area, you will just use the area under the roof. 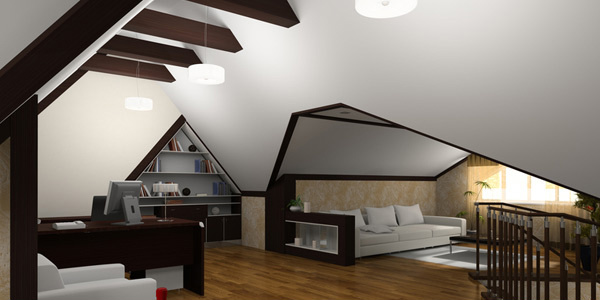 Today, we will be giving you some tips on how you can smartly design an attic that can be habitable. These tips can also aid you to attain a cozy attic. Read on and convert your attic into a perfect living space. 1. Think access and traffic. Wherever you are in the house, traffic and access is always important. But if we speak of an attic, these two points are really very necessary and could also be challenging. Access includes how to get into the attic like using stairs or a ladder. But it would be better to use a full-size stair in order to bring in stuff easily. There should also be enough space to go around the attic. Since there is a part that is too low, you can place some items there which are not really used all the time or you can also place storage areas. Avoid crowding your attic too because this will only make it hard for people to get around it. 2. Have proper ceiling height. Habitable attic rooms that has sloped ceilings should at least have 50% slope of the ceiling or must be at 84” or higher. This will allow people to be able to make use of the attic fully while on a standing position. Human dimensions will be used as a guide for the ceiling height. 3. Check on the roof pitch. It would be better to have more spaces in the attic. Steeper roofs can give more useful spaces in the side areas. The lower parts can still be used in locating furniture, storage areas and for other functions. When you add dormers, you are also increasing usable space. It raises the roof on that part where the dormer is added. Hence, it adds height and also light to the attic. At the same time, it can also add appeal to the exterior part. You can notice that having dormers is a lot better than not having any at all. It will transform your space into a more cozy area to stay in. 5. Have a sturdy structure. It is very important to have a sturdy structure for the flooring. It should be able to carry the amount of loads that you will have in the attic. The rafters should be able to carry the weight of the ceiling finish and its insulation. Support the floor joists too to be sure it is safe and sturdy. 6. Pay attention to heating and cooling. Another thing that you need to look into when designing an attic is its temperature. Hot air rises which means it can be too hot in there during summer and it will also be warm during winter. Add insulators for the ceiling. Also, you can have an air conditioning system in your attic so you can make it cold. 7. Use skylights and windows. Your attic will feel cozier if you add some windows and skylights. It will allow natural light to enter the room and can also add ventilation. Facing the north and east parts, you will get a soft light but if it faces the west and south, you will get too much heat from the sun. So, be sure to position your windows and skylights rightly. 8. Have a safe staircase. The staircase going to the attic has to be built well so that people who use it will be ensured of safety. 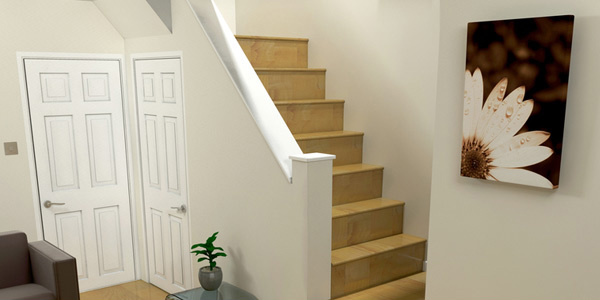 It is better to use a full-sized staircase if you intend to create a living area for the attic. This will make it easier to bring things to attic and will also give easier access to those using it. 9. Be creative with storage. Storage areas are also significant for an attic. Be smart with your storage system by making use of the lower parts of the attic. Since other parts are too low for people to walk in, create built-in storage in them so that spaces will be used smartly. 10. Design with comfort in mind. Of course, you have to think of comfort all the time. Make sure that aside from those things mentioned, you will also arrange furniture well in the attic and install adequate lighting. Put some comfy fabrics if you have a bedroom or a living room in the attic. You can also add other items that you need in the bedroom as long as it won’t be too crowded. The attic can be used in different ways only if you are able to design it well. If you take note of the points we have stated above, you can be helped to create a cozy and comfy attic space. You will surely be glad that even this area in your house can be used for a good purpose. You can even have a home library or a home office in it. It will be a great place for reading and working since it is away from all the noise.